Various Fuses and Fuse Holder protect solenoid from overload. The 5-A fuse is for Dual Fuel models. The 1-A Slow Blow fuse is used with the door solenoid. 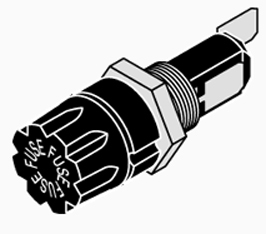 The 10-a fuse is for the pallet burner model. Fuses sold separately.